The two main types of eating disorders are: Anorexia Nervosa, which is when you starve yourself and Bulimia Nervosa, which is when you make yourself sick after you eat or take laxatives. They are both very bad for your health. Eating disorders can also be caused by stress or bad experiences. BBC Radio 1's Newsbeat and 1xtra's TXU asked 25,000 people, mostly aged 17 to 34, how they felt about their bodies. Some 51% of young women would have surgery to improve their looks and a third of those who are a size 12 think they are overweight, a survey suggests. Almost half the women surveyed said they had skipped a meal to lose weight, while 8% had made themselves sick. Eating disorder experts said it was "sad but not surprising" that young people felt and acted in such ways. Even with the celebrity emphasis on being size zero (UK size four), fewer than one in a hundred of those surveyed said they were that size. Half of the women questioned said there was "lots they would change" about their bodies - and more than 10% "hated" what they looked like. A spokeswoman for Beating Eating Disorders, formerly the Eating Disorders Association, said there were an estimated 1.1 million people in the UK with eating disorders. She said: "It is sad to read such statistics but not that surprising for us as we receive many calls from the age group mentioned and a lot younger. 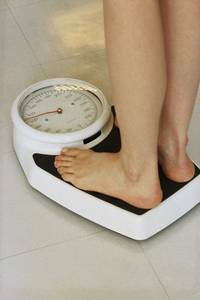 "Research says that typical age of onset for an eating disorder is 14 to 25. Young people are affected by many issues at this present time with issues such as exams, bullying, and family pressures. "It's so important for people to develop a healthy perception of their bodies and to raise their self-esteem and to develop positive ways of coping with the difficulties that life can bring." Losing a lot of weight very quickly. Growing more body hair (usually girls). Eating a lot in one go. Going to the toilet after eating to be sick. Sore throat and mouth infections from being sick. It’s hard to cope with an eating disorder alone – talk to someone you trust. See your Doctor, who can get you some counselling. Remember that the sooner you get some help, the easier it will be for you to beat your problem. What to do if you think your friend has got an eating disorder? Tell them that you’re worried and that you’re there for them. Try and get them to see their Doctor. Don’t change what you eat – show your friend how important it is to have a healthy diet. Don’t give up – it might take time before they accept they have a problem.